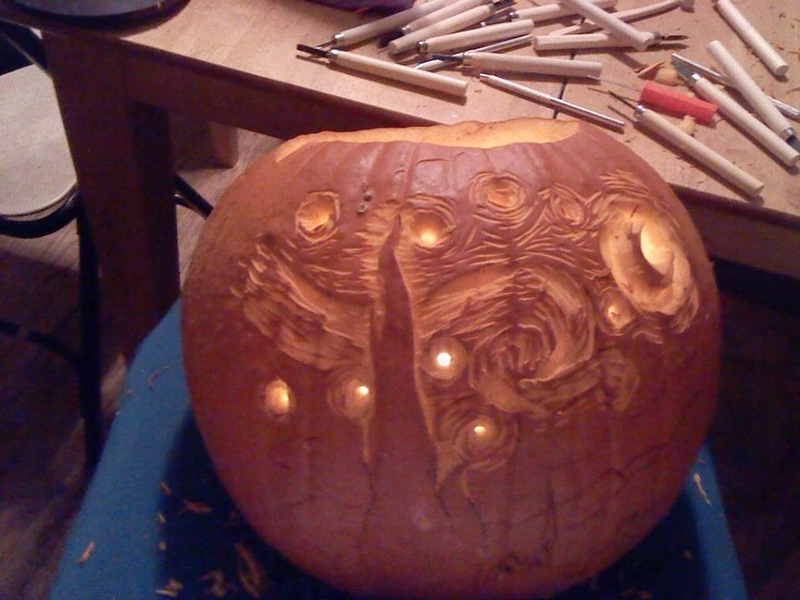 So this Halloween i decided to tackle Van Gogh's Starry Night. To do this I have some wood carving tools I picked up at Michael's craft store. Clay tools really aren't sharp enough. i also have a couple small loops for carving out. I printed off the picture. To conserve ink I just printed it under the "draft" setting. Didn't need a really nice print, just to get the idea. 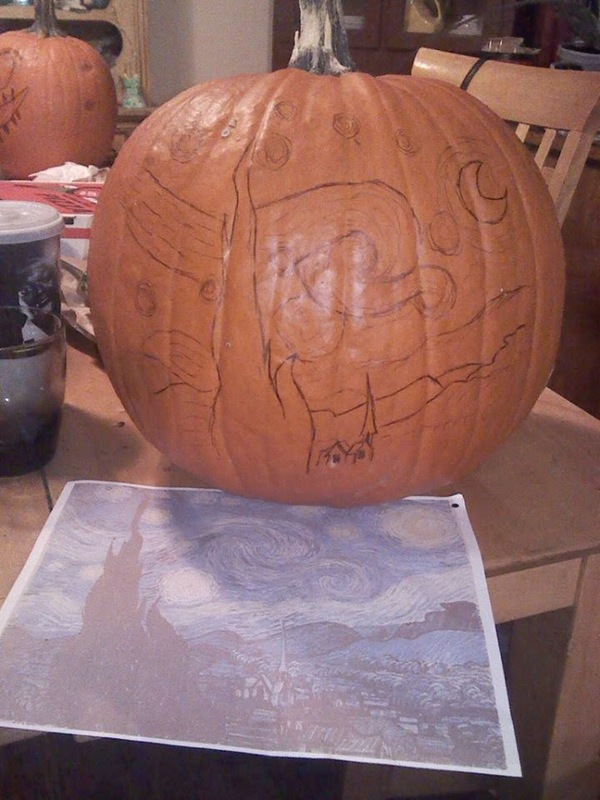 I used a regular ball tip pen to transfer it to the pumpkin. I did this freehand. You can make a couple pricks through the print to get a few points for size reference. To start carving i clipped my print to a board so I could have it to look at as I went. After gutting the pumpkin and thinning the walls I got one of the tap lights that are battery powered and put it inside. 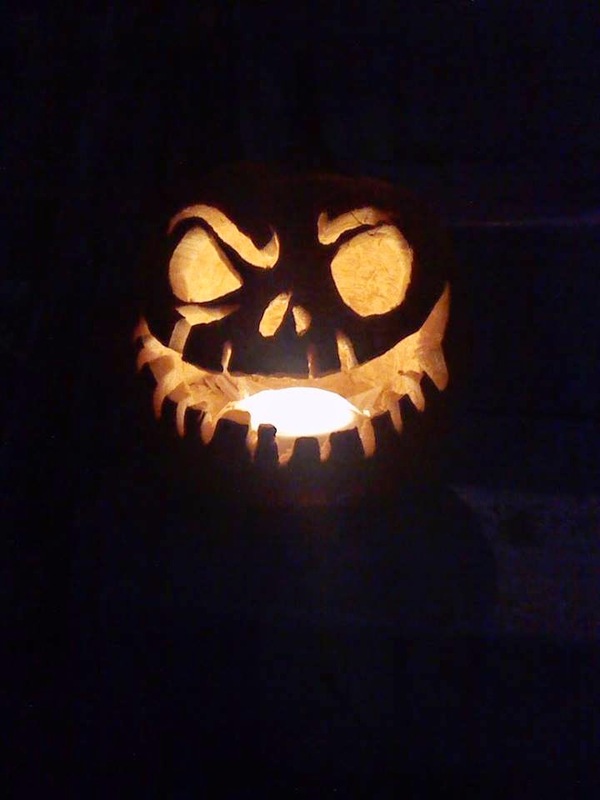 I put the light in a sandwich bag 1st so it didn't get pumpkin on it. I liked the light so much that we ended up using it instead of candles when we were done. To get the walls a uniform thickness i have a needle probe in my set and poked it through teh wall in several spots to cofirm that it was all the same thickness. I scraped it to about 1/2 - 3/4 inch thickness. 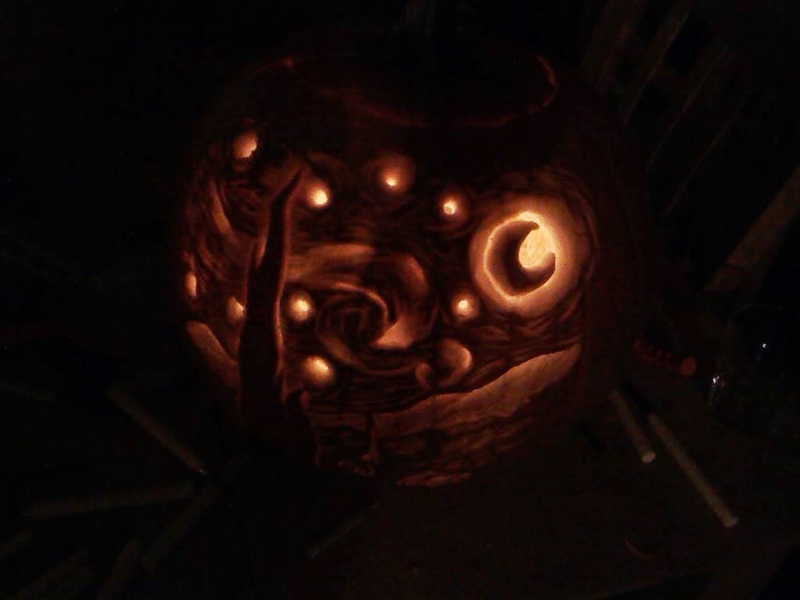 I used a small curved blade for most of the pumpkin. To get the crisp outlines I partially cut into the skin following the lines I made than used a flat chisel blade and cut towards the outline cuts and chipped out small bits to create the outlines. For the buildings I poked in straight with a flat chisel than cut towards my 1st cut to chip out the flesh. This angle shows the moon well. When I'm done I wash the pumpkin inside and out to get any hanging bits. 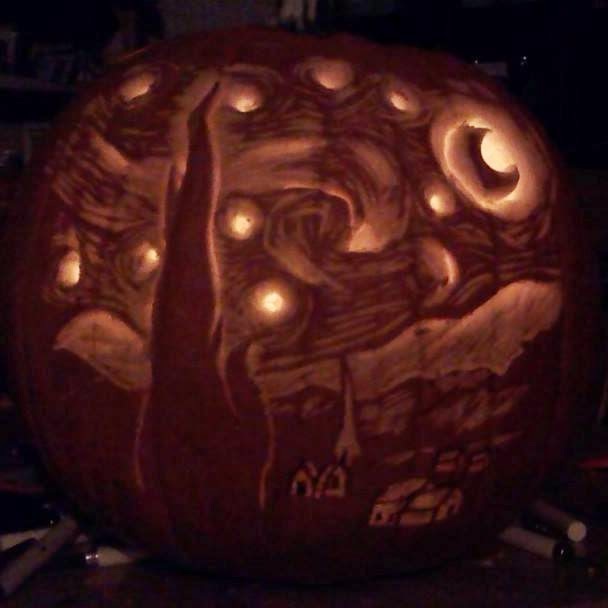 this really does make a huge difference in how clean the lines of a pumpkin look! i than went and checked for any areas that needed touch ups. 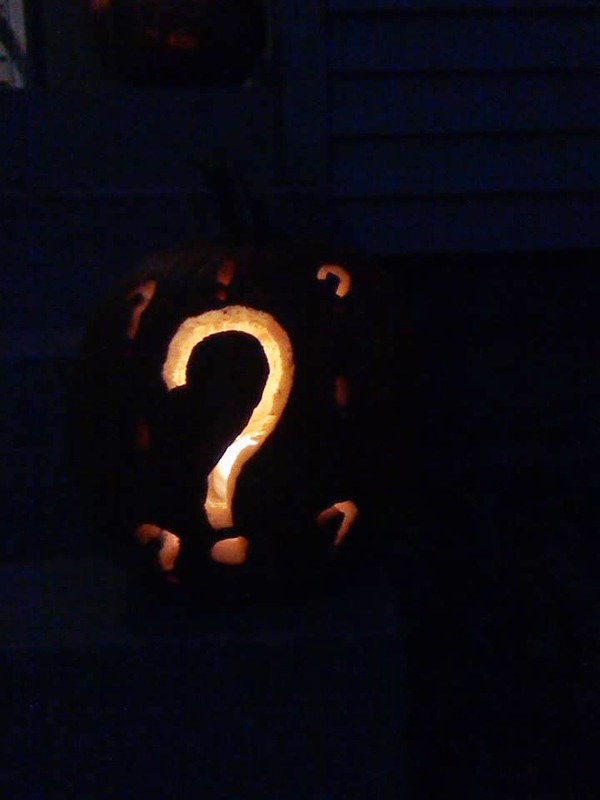 This was only the 2nd time I have done a shadow pumpkin. I really am happy with this. 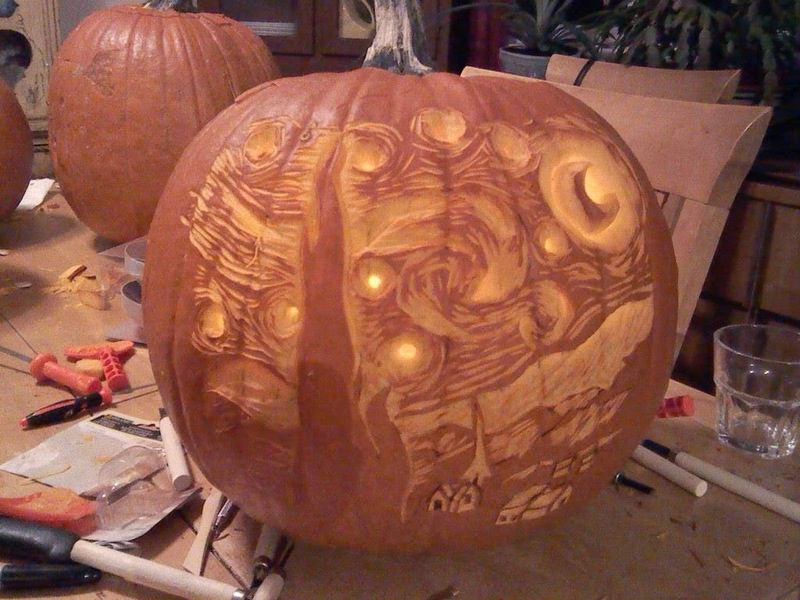 I think I could have had more depth around the stars, but this is pretty good! 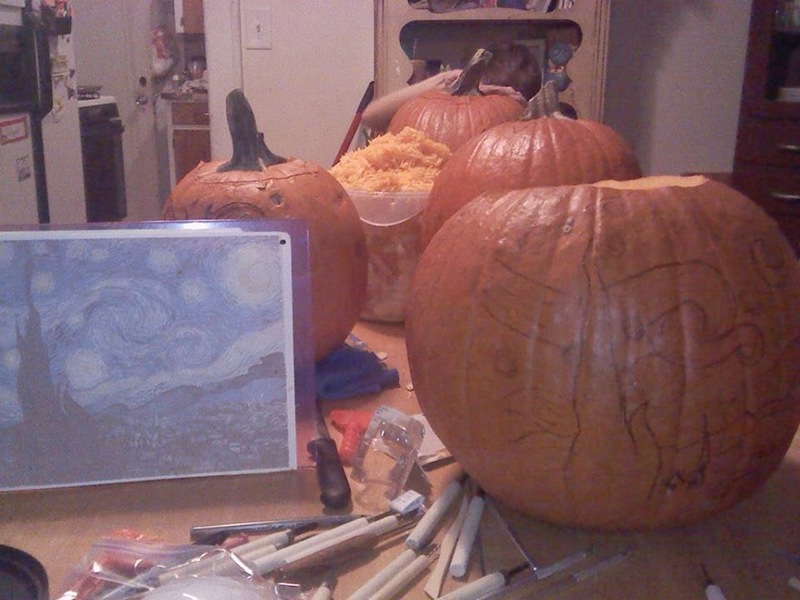 Thse are pumpkins that my kids did. 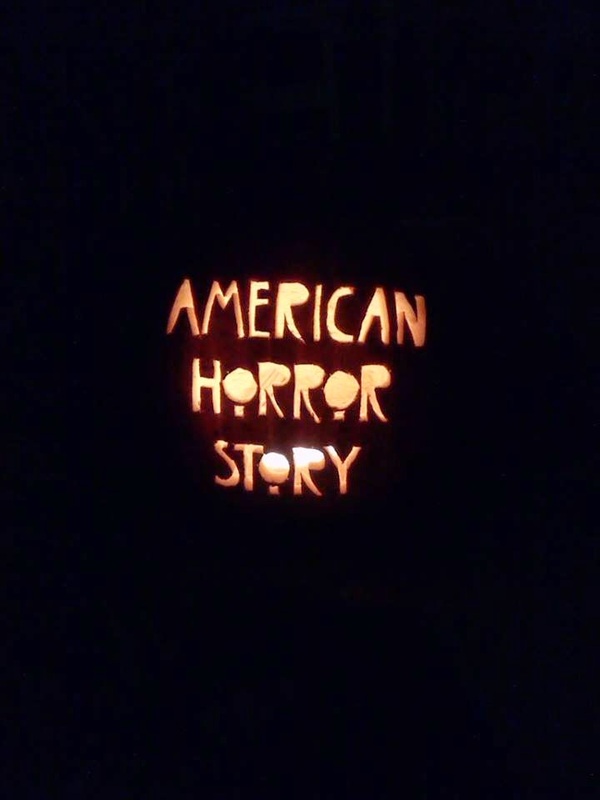 My youngest son, Michael's pumpkin. he will be 9 in January and he cut this by himself! You can see the tap light in this one. They really do work great! 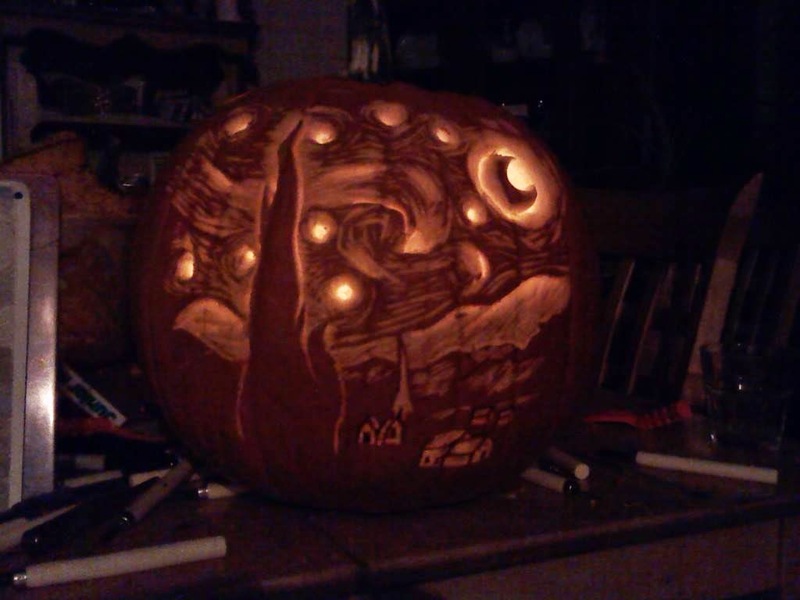 And my older son, Robert's pumpkin.